Thank you Cathy Breen volunteers & supporters for this very big win!! Thank you to each and every person who helped me win this race. in the Maine Senate. Onward! I certainly appreciate the importance of robust programs and services that address the critical needs of Maine seniors and people with disabilities. This is a top priority for me. However, making tax policy through the referendum process is something I cannot support. As Ranking Member of the Appropriations and Financial Affairs Committee (AFA), I see that funding initiatives and tax policy go hand-in-hand, and they are best addressed through bi-partisan committee deliberations rather than by citizen-initiated referenda that focus on one particular funding/tax issue in isolation from other priorities. Therefore, I am not supporting Question 1 on this year’s statewide ballot, also known as the Home Care Initiative. In addition, in my role on AFA in the last session, I co-authored the budget bill (LD390) that repealed the 2016 referendum that placed a 3% surtax on high income earners. That referendum, as enacted, would have put $320 million of new revenues into our public K-12 education system statewide. Working with my colleagues on the AFA Committee, we moved $162 million (about half of the funds proposed by the 2016 referendum) from other areas in the budget into public K-12 education, with no additional income tax whatsoever. With respect to other referendum questions on this November’s ballot, I am supporting the bond issues. These questions have been deliberated on by the Legislature and have strong bi-partisan support. These bonds will support statewide investments in wastewater treatment, our higher education systems, and transportation infrastructure. Senator Cathy Breen was elected to the Maine Senate in 2014 representing Falmouth, Yarmouth, Cumberland, Gray, part of Westbrook, Chebeague and Long Island. After her first term serving on the Natural Resources and Environment Committee, Senator Breen was chosen to be the ranking member of the Joint Standing Committee on Appropriations and Financial Affairs. In this leadership position, Senator Breen led Senate Democrats in negotiations for the 2017 biennial budget including shifting $160 million into Maine’s K-12 public education system without raising state income taxes. Senator Breen supported funding Medicaid expansion which voters approved by 59% at the ballot box in 2017. Senator Breen’s overall priorities for the state budget are addressed in her editorial in the Portland Press Herald. Cathy Breen has been a successful advocate for the Land for Maine’s Future (LMF) program as it faced threats from the Executive branch over the last several years. Senator Breen is one of two legislators asked to join the Maine Conservation Task Force, a statewide group that is defining conservation priorities for the future. Learn more at maineconservationtaskforce.com. In addition to protecting Maine’s environment, Cathy Breen has fought for high quality K-12 education, improved college affordability, small business growth, tax reform, and early childhood social and emotional health in Maine. The Maine Chapter of the American Academy of Pediatrics named Senator Breen their 2015 Legislator of the Year. Senator Breen makes the priorities of her constituents her top responsibility in Augusta. For example, she was the lead sponsor on a bill allowing the Baxter School for the Deaf and Hard of Hearing in Falmouth to raise private money to support the school’s mission and property on scenic Mackworth Island. The bill became law in March 2016. In 2015, in concert with the Gray Town Council, Senator Breen hosted the Commissioner of the Maine Department of Transportation in Gray to address a long-standing road surface problem on Route 26. As a result, the MDOT has completed temporary improvements and has put $2.3 million in the department’s 2017-18 work plan for a more durable solution. For a complete list of the bills Senator Breen has sponsored and co-sponsored, click here. Elected as a Falmouth Town Councilor from 2005 to 2011, serving twice as Chair, Cathy consistently helped keep property tax rates low in Falmouth while maintaining quality town services. On the Council Cathy was a strong proponent of controlled growth and land conservation. She led the effort for passage of the 2007 Open Space Referendum, one of the most successful municipal efforts to conserve local land and wildlife habitat in Maine’s history. During her six years as Falmouth’s representative on the Greater Portland Council of Governments, Cathy promoted improved efficiency in local and regional services. She successfully advocated for mass transit and long-range transportation planning along the coastal corridor from Falmouth to Freeport. Senator Breen serves on the Board of Directors of Spurwink Services, Inc., a statewide agency that addresses the needs of children and adults with behavioral health challenges and developmental disabilities. She served on the Board of Directors of Community Counseling Center from 2004-2007. Senator Breen has lived in Falmouth since 2000. She earned a Bachelor’s degree from Tufts University and a Master’s of Education from the University of Illinois in Chicago. She is married to attorney Jay S. Geller and has two adult children. "Cathy Breen represents her constituents with courage, integrity, and commitment." 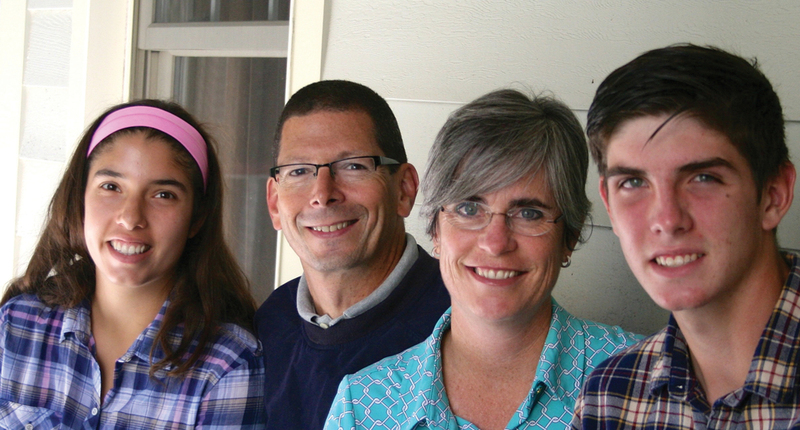 "Cathy Breen stood by our side and fought for our Land for Maine's Future projects." "We can count on Cathy Breen to support our schools." "Cathy Breen is a tireless advocate who find solutions to local problems." "Cathy Breen makes our priorities her priorities."